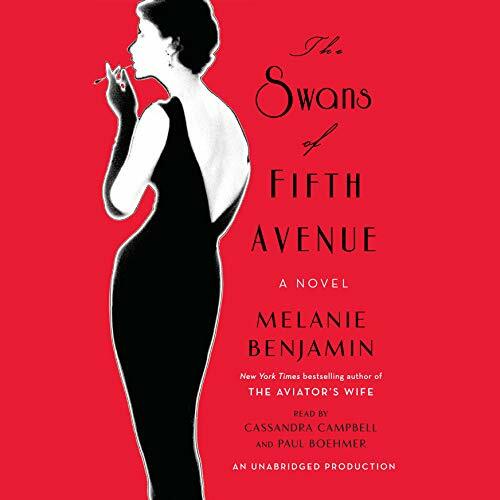 The Swans of Fifth Avenue is a novel about the experiences of American author Truman Capote and the group of wealthy women he called his swans, particularly Babe Paley. 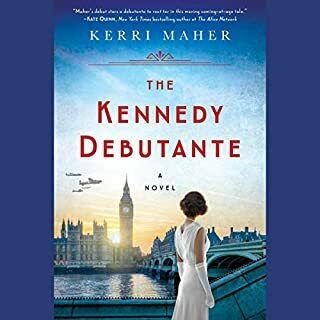 The story is set against the backdrop of New York City high society in the 1950s through the 1970s. The novel is a fictionalized account of historical people and events. London, 1955: Grace Monroe is a fortunate young woman. Despite her sheltered upbringing in Oxford, her recent marriage has thrust her into the heart of London's most refined and ambitious social circles. Then one evening a letter arrives from France that will change everything. Grace has received an inheritance. There's only one problem: she has never heard of her benefactor, the mysterious Eva d'Orsey. Told by invoking the three distinctive perfumes she inspired, Eva d'Orsey's story weaves through the decades, from 1920s New York to Monte Carlo, Paris, and London. The fate of Brooke Astor, the endearing philanthropist with the storied name, has generated worldwide headlines since her grandson Philip sued his father in 2006, alleging mistreatment of Brooke. And shortly after her death in 2007, Anthony Marshall, Mrs. Astor's only child, was indicted on charges of looting her estate. Rarely has there been a story with such an appealing heroine, conjuring up a world so nearly forgotten. The New York Times best-selling author of The Aviator's Wife returns with a triumphant new novel about New York's "Swans" of the 1950s - and the scandalous, headline-making, and enthralling friendship between literary legend Truman Capote and peerless socialite Babe Paley. Of all the glamorous stars of New York high society, none blazes brighter than Babe Paley. Her flawless face regularly graces the pages of Vogue, and she is celebrated and adored for her ineffable style and exquisite taste, especially among her friends - the alluring socialite Swans Slim Keith, C. Z. Guest, Gloria Guinness, and Pamela Churchill. By all appearances, Babe has it all: money, beauty, glamour, jewels, influential friends, a prestigious husband, and gorgeous homes. But beneath this elegantly composed exterior dwells a passionate woman - a woman desperately longing for true love and connection. Enter Truman Capote. This diminutive, golden-haired genius with a larger-than-life personality explodes onto the scene, setting Babe and her circle of Swans aflutter. Through Babe, Truman gains an unlikely entrée into the enviable lives of Manhattan's elite along with unparalleled access to the scandal and gossip of Babe's powerful circle. Sure of the loyalty of the man she calls "True Heart", Babe never imagines the destruction Truman will leave in his wake. But once a storyteller, always a storyteller - even when the stories aren't his to tell. Truman's fame is at its peak when such notable celebrities as Frank and Mia Sinatra, Lauren Bacall, and Rose Kennedy converge on his glittering Black and White Ball. But all too soon, he'll ignite a literary scandal whose repercussions echo through the years. The Swans of Fifth Avenue will seduce and startle listeners as it opens the door onto one of America's most sumptuous eras. 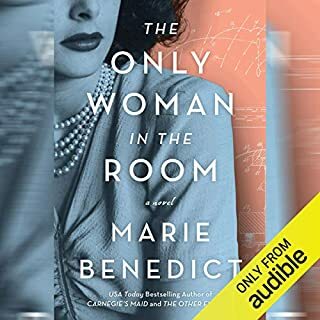 At first I thought that the narrators emulating Truman Capote's voice and inflections would be grating but as it turns out, that actually added positively to the reading and listening. Caasandra Campbell and Paul Boehmer did a great job. The down side is, if you're under say, the age of 55, you probably won't get a grip on the character that Capote truly was merely by hearing the narrators' really good impersonations of his persona via voice. I might be wrong, but I believe that you almost have to have had a somewhat vague impression of him from that time period to really understand and get into this book. 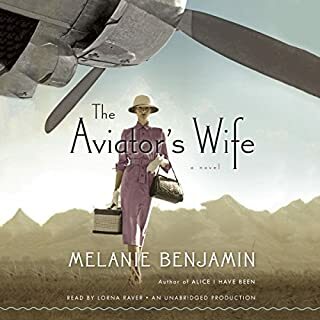 Ms. Benjamin did a super job in painting the characters and overall, the book is a really good listen. Some readers will have little interest in these characters and their world, floating like whipped cream on top of the Fifties and Sixties. The complex of relationships between Truman Capote and his "swans" (wealthy, socially powerful, gorgeous society women: Babe Paley and her sisters, Slim Keith, CZ Guest, Gloria Guinness, Marella Agnelli, Carol Matthau, Gloria Vanderbilt, Pamel Digby Churchill Heyward Harriman and others); and their husbands, esp Bill Paley, is here treated in a "non-fiction novel", a literary form Capote claimed to invent, and used to impressive effect in his masterpiece, In Cold Blood. Benjamin is not a stylist at Capote's level, but she writes well. 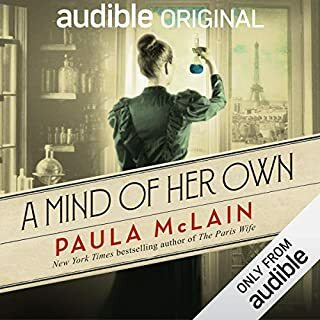 (I should mention that i listened to an audible version instead of reading print.) She brings to life the emotional activity behind all that luxurious beauty and social perfection - she is esp good with Capote, Babe Paley, Slim Keith, and Bill Paley, our principle players. I was already familiar with many of these stories, esp Capote's triumph and fall, and the aftermath of the story La Cote Basque, 1965. Many other reviewers have given vivid intros. The symbolic bookends at the beginning and end, happily brief. The dialogue at the imagined "swan power lunch" after the Esquire publication, which seems somewhat weak. The re-working of who might have left the stains on those sheets. 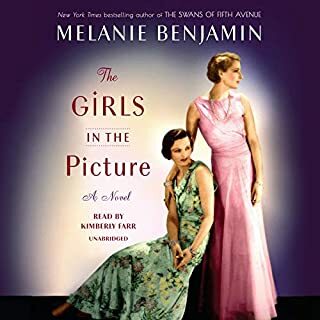 While Benjamin's version has some poignancy, Benjamin's choice, who cared deeply for Babe, would never have behaved so - and this version undercuts the point of Truman's story: the deliberate insult the old-money, un-swan-like WASP wife intended to wield as she conveyed her contempt for the Jewish mogul who dared to believe himself in her league. The best parts are the voices of Truman, Babe, Bill, and Slim, who come to life. They grew on me until they felt fully formed. The writer makes real the fragile trust Truman and Babe hold in each other, until he goes too far. I wish someone would publish depth biographies of these swans and their world, and i would also love a photographic history. We can be nostalgic because this world is as lost as Fitzgerald's hopes and dreams, as given to Gatzby. These socialites already seemed quaint and "as seen through a glass" in the seventies, and Amanda Burden, Babe Paley's daughter, has chosen and succeeded at a very different and modern sort of life. Curously the most successful of these swans, in the terms of today's worldviews, are Pamela Harriman, "the courtesan of the century", the least swan-like, who transformed herself into a real power with a notable career; CZ Guest, gardening expert, and to appearances the least fragile, most confident and emotionally whole of this group, and the one who stayed in touch with Capote; Gloria Vanderbilt, survivor of a horrible childhood, also re-invented herself as a notable businesswoman. I started this expecting a "beach read" and found much more. At best, this book shows a tiny wedge of "society" as it once existed in New York. It attempts (in a fictional way) to explore some "what ifs" about Truman Capote as he related to several society women, their husbands and his own lover(s). It's not exactly a story, yet it's not a biograph(ies) since it weaves a few basic facts with hypotheticals to spin a tale. As always, Capote is revealed to be the opportunist and somewhat hideous person and leach he was. This book somewhat gave him more depth than many literary critics do - but I suppose it's subjective. The "feel" and descriptions of New York - other than those of Bergdorf-Goodman and a couple of restaurants - are shallow. The author says in the end notes that she never lived in New York, and it's obvious to anyone who has. This lack of richness of backdrop brings the characters into sharper focus which may be intentional as it brings falseness and flaws more sharply into focus. I'm sorry I read this book because it was, overall, depressing. There are no smiles when you're reading this book - but there are no tears either. It's just there, and I walked away feeling like I do when I leave a funeral. Bad. What did you love best about The Swans of Fifth Avenue? The performances matched the subject matter, characters and atmosphere perfectly. The actor who performed Truman Capote's voice was pitch-perfect and took care not to camp it up. What was one of the most memorable moments of The Swans of Fifth Avenue? When it all fell apart. Babe was the center and as long as the center held all of the characters remained in motion. When she became ill and Truman began his dissolution everything fell apart. The idea of their health abandoning them as surely as friends abandoned each other was very real and very sad. Truman's Black and White Ball was beautifully described as were the lunches of the original Ladies Who Lunch. Having been a lifelong lover of Truman Capote and his original works I found his constant need to be accepted and nurtured particularly moving. He could never get enough of that because he never got enough of that from his earliest years. I purchased this book because another reviewer wrote- Best. Book. Ever.- I agree. Very entertaining. It opens a window into a bygone era. The narrators did an excellent job bringing the characters to life. What a time travel port...this one will take you into the glamour of decades past high society in a way that you will not stop listening! Love! For me, this book is bad on so many levels. The plethora of narrators make no sense and I found it to be distracting. Plus the story itself is just "fluffy Wikipedia", i.e., the facts which are available anywhere have been "fluffed up" with inane dialogue. I've read several books about the socialites in this book and, here, they come off less "rich and famous" than they do as just plain silly. Not for me! 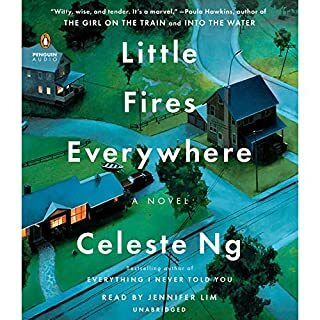 The characters are well developed and memorable.The prose was just delightful. Multiple narrators who were all excellnt.I was sorry when it ended. Well done. Loved this book although a lot of it was fictional loved learning and imagining about NY socialite in the 50s & 60s a lot of good info and biographical facts! Would recommend to everyone! I'm not really into Wives of *wherever, which is how this book starts. Then BAM -- Truman Capote's voice jumps out (the audio is brilliant), and then another BAM moment when Bill Paley starts talking. This book is not really my thing, but is a superb offering of how this strange friendship and life and ending could have actually happened. This is Melanie Benjamin's best yet, and sure to be on shelves for a while, so you might as well listen now and get a jump on the fuss. I was unsure about this book to begin with, but I really enjoyed it. It is well written, well read and I felt that the author's note at the end was a useful addition to the book. I have read Capote's work, seen the movie where he is played by Phillip Seymour Hoffman and read a lot about the Black and White Ball and about Capote's downfall and eventual death. This book, an 'imagined account' of Truman and his 'swans' is a great addition to the library of Capote fans and of those who are interested in social and, even in, fashion history. I look forward to reading more from this author.